For more information on this featured innovation, please view this video on Better Place’s battery switch model for electric vehicles. When it comes to refueling gas-powered cars, drivers around the world have about 100 years of practice: when you run low on fuel, you look for a gas station. With electric vehicles (EVs) beginning to enter the market, auto manufacturers, grid operators and customers are searching for ways to ease the transition from gas to electricity. 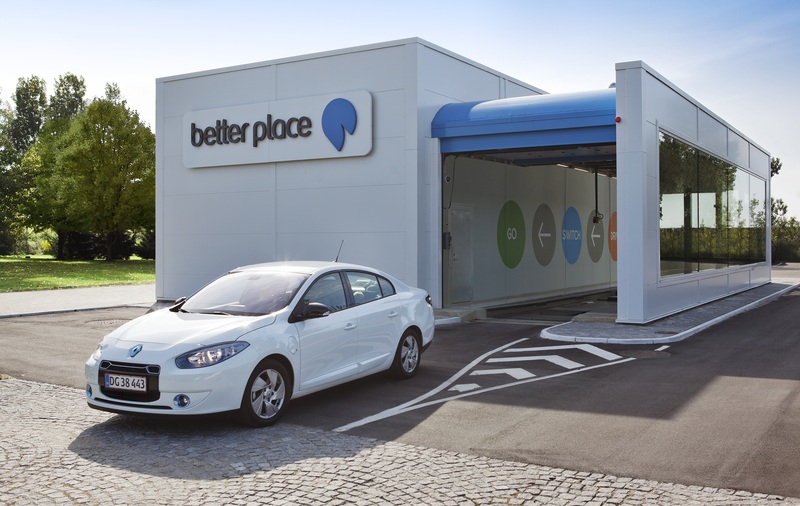 Better Place, a venture-backed company founded in Silicon Valley, is building charging stations in several countries to serve EV customers, and has designed an innovative approach that may well become the “gas station” of the future. Rather than refill your battery, Better Place’s automated service stations swap it out. Better Place’s battery switch stations – which could be described as a mixture of a drive-through car wash and a Jiffy Lube service station – can extract and replace an electric car’s battery in a matter of minutes, without requiring the driver to get out of the car. To complement the switch stations, Better Place also builds a network of standard charging stations to regularly “top off” the battery when the car is parked. Some plug-in models, like the Chevy Volt, have gas powered range extenders that give the car the per-charge range of most gas-powered cars. But many models are powered purely by electricity. Enabling those cars to compete with comparable gas-powered models on cost and convenience is the aim of Better Place around the globe. Earlier this year, the first Renault EVs with “switchable” batteries were delivered to Better Place customers in Israel, where 20 switching centers have opened throughout the country. The new refueling option is also now available to Better Place drivers in Denmark. In September, in the Netherlands, the company opened a switching station at the Amsterdam Airport Schiphol for electric taxis that serve airport travelers and drive upwards of 50,000 miles per year. Israel, the Netherlands and other European countries are especially fertile ground for the Better Place approach. 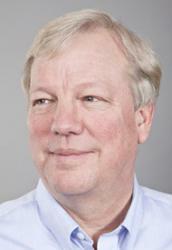 Outside the U.S., transportation is viewed as a more practical, non-partisan, logistical issue. Many of these cities and countries are really pushing the envelope to find alternatives that serve their citizens without sacrifice, but also address carbon and oil dependency. Company leaders intend to succeed first where the market conditions are most attractive, and then expand to other countries more broadly, like the U.S. Though its American presence is relatively small, Better Place is already operating a network of charging stations in Hawaii and developing an electric taxi project in the San Francisco Bay Area. “Hawaii is a good place to start in the U.S. because its location makes it so dependent on imported oil, and EVs support the state’s goal to cut dependence on imported fossil fuels by at least 70 percent by 2030,” said Proctor. Eventually, EVs that take advantage of Better Place’s services will not only be consumers of the grid’s energy, but also providers. The company has developed an in-car navigation and energy management system that connects each car to the Better Place network, and the network’s operations center communicates with electric utilities and takes energy availability into account. This enables the company to simultaneously manage the charging of thousands of cars and their batteries to serve as mobile energy storage that can “smart charge” at night when wind power is abundant and cheap, and ultimately feed the grid during peak hours when most energy is used. The result is a heavier reliance on clean, renewable, home-grown energy and less harmful air pollution and damage done by domestic oil drilling and coal mining. This entry was posted in California, Electric Vehicles, Energy Innovation, Grid Modernization and tagged EV. Bookmark the permalink. Both comments and trackbacks are currently closed.